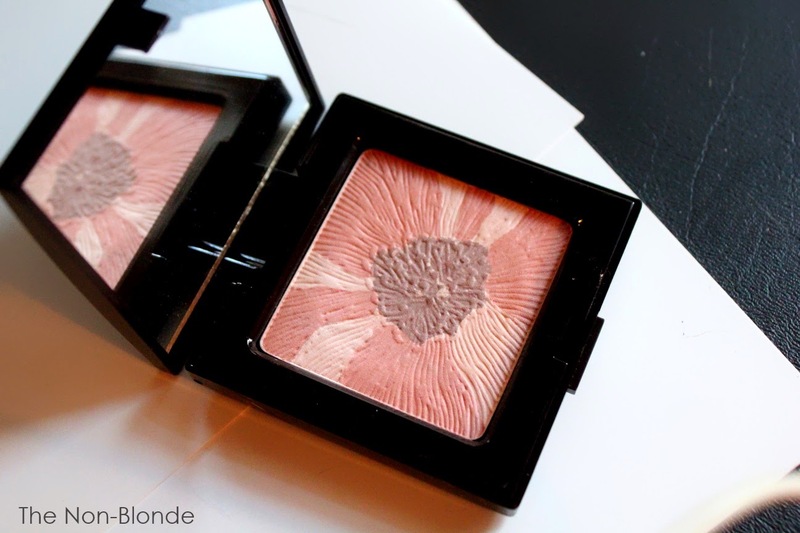 Cheek Mélange is the star item of Laura Mercier's Fall 2014, Sensual Reflections. I don't know if it's my personal favorite (the green creme eyeliner is probably my top pick), but it's a pretty little thing and the embossed multi-colored flower is very cute. The texture of Cheek Mélange is exquisite. It's a powder with an almost creamy feel. The finish is glowing-satiny without actual shimmer particles. I love all the Laura Mercier blushes I have, but this is a level above. 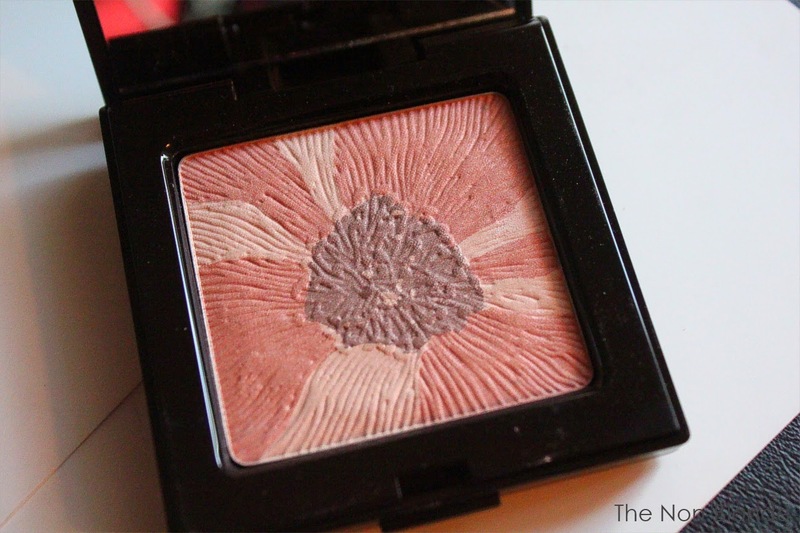 There are three colors in the Cheek Mélange compact. The blurb on the website says that it "features hand-selected, complementary shades". Hand selected? As in not by robots or other machinery? Whatever. The colors are very delicate. The lightest one, a pinkish highlightery thing doesn't show up on my cheeks at all (nor does it on my arm, as you can see). I can use it on my lids (which are significantly darker than the rest of my face), but I can't say I've bothered expect for testing purpose. 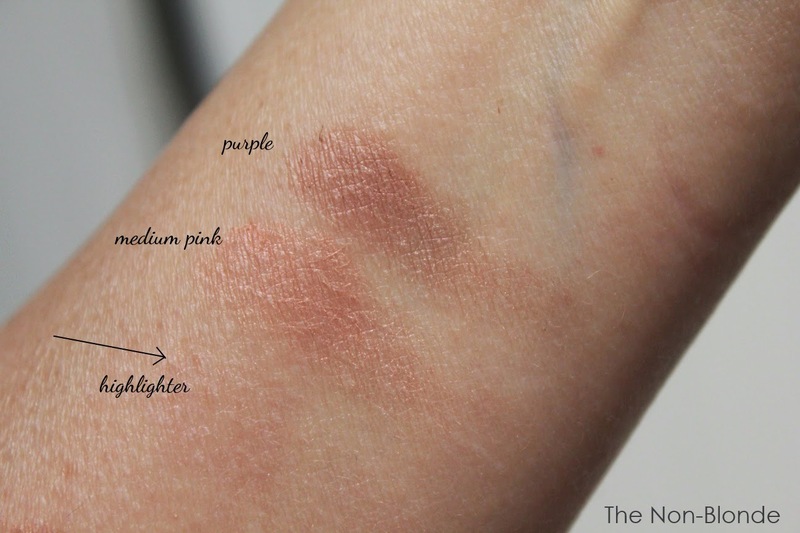 The medium rose is pretty and the purple is gorgeous-- it appears more mauve on my skin, and I would have loved a full size blush in this color (Dear Laura Mercier, please hear my plea and make this purple blush available to us). 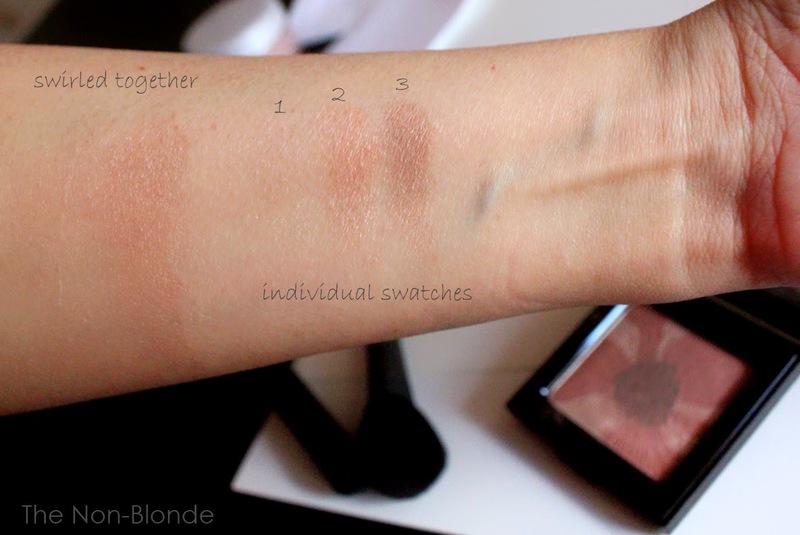 Since the individual sections of the blush are too small to use separately, you have to swirl your blush brush and pick all three, which gives a very delicate color. 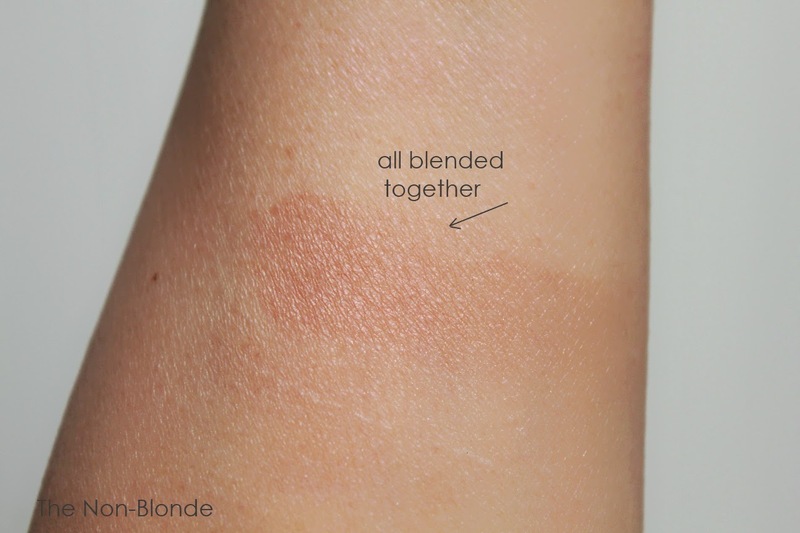 I'm around NC35 (not quite and more neutral than yellow, but it's in that ballpark), and I doubt anyone even half a tone darker would find this Laura Mercier Cheek Mélange useful. The fair among you are more likely to enjoy the colors and the beautiful glow it gives the face. Bottom Line: Mostly for the pale. Laura Mercier Cheek Mélange Blush for Fall 2014 ($42) is a limited edition item. Available at the counters and from lauramercier.com. Do you think this is close to Chanel Accent? I don't have Accent, but from swatches I've seen online they're probably close enough. I know MAC is probably not one of your top brands, but they have a limited edition blush called Animal Instincts that looks similar to the purple swatch. It's a gorgeous deep warm plum with a brown base. You might like it! It's surprisingly sophisticated.